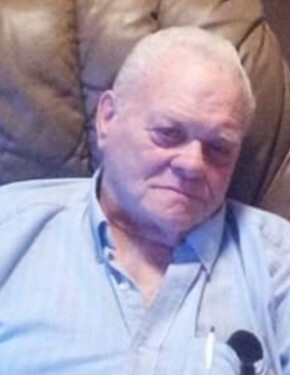 Johnny Eugene Cooper, age 76 of Laurinburg passed away Tuesday, November 6, 2018. Johnny was born August 15, 1942 in Scotland County, a son of the late William Howard Cooper and Margie Coltharp Cooper. He retired after many years of service in automotive sales. Before his illness, Johnny served as a member of the First Baptist Church. He was a people person who enjoyed driving around and visiting others. He also enjoyed singing karaoke and was a great fan of classic cars. To his family, he will forever be remembered as a dedicated father, grandfather, brother and friend who will truly be missed. Along with his parents, he is preceded in death by his brother, Howard Cooper. He leaves behind his sons, John “Eugene” Cooper of Laurinburg, William “Howard” Cooper (Melissa) of Aberdeen; stepchildren, William Jones, Wayne Jones and Lynn Jones; brother, Bobby Cooper of West End and sister, Charlotte Locke of Tarboro; grandchildren, Ayden Luke Cooper, Savannah Claire Cooper, Chloe Ann Cooper, Kaden Marie Cooper, Ashlynn Marie Hall, Taylor Brianna Hall and a host of loving nieces, nephews and many friends. Funeral services will be held at 2:00 p.m. on Saturday, November 10, 2018 at the Richard Boles Funeral Service Chapel officiated by Dr. Wayne D. Wike. The family will receive friends prior to the service on Saturday beginning at 1:00 p.m. at the funeral home. Interment will follow the service in Hillside Memorial Park.